At the time when Rallye Rejviz began, EMS Dispatch wasn’t known well. There were few workstations, with few exceptions, they managed 2 – 3 crews with physician. To do a shift – it was considered as a punishment, or when someone wasn’t able to or didn’t want to drive an ambulance. There was nothing to spoil and even if, the problem stayed within the four walls. An urgent economical and organisational need of centralized workplaces occurred when founding a regional emergency medical services had risen. Massive extension of paramedic crews had been turning into reality as well. It was immediately clear that EMS cannot exist without a properly working Dispatch Center and it cannot be a “depository” of incompetent and incapable empolyees. On the contrary, it has to be a workplace for people who are able to manage increasing stress, sorting out the calls, dispatcher-assisted first aid. 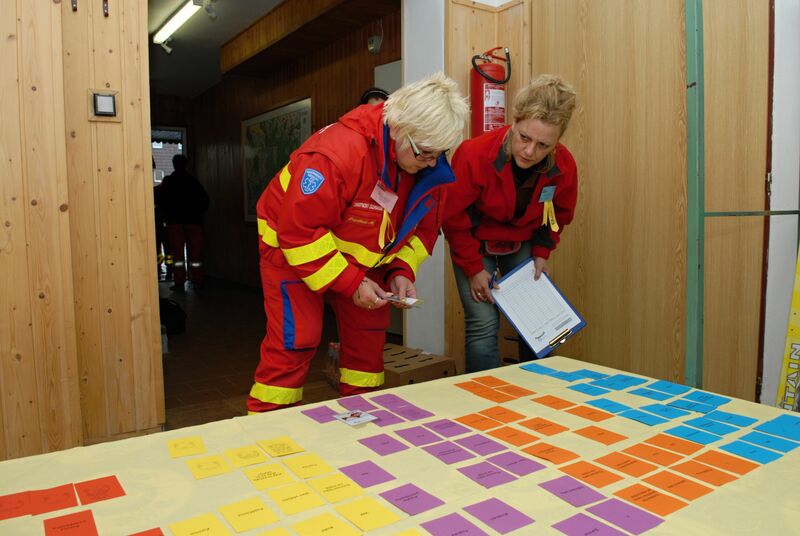 They learn to work with new technologies necessary for management of EMS in such a big area. Obviously, this “rescuer specialty“ became a part of Rallye Rejviz mainly thanks to the work of Prague EMS Dispatch Center Head Physician MUDr. Ondrej Franek. 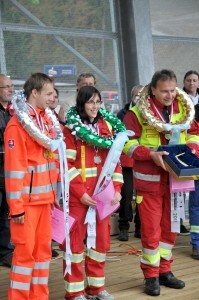 Competition of EMS dispatchers “entered“ Rallye Rejviz in 2006 called “Line 155“, when the first 11 dispatchers participated. The competition for dispatchers called “Golden Headset“ has been unseparable part of Rallye Rejviz since 1997. In the first years the competition was totally independent but that “separated“ the dispatchers and slightly pushed them to the edge of “colourful and attractive“ tasks with flashing lights of ambulances and lots of actors. We realised that this was the exact opposite of what we’ve been trying to achieve. It seems to became clear that dispatchers belong among rescuers equally even though they are not seen on the streets. A driver with a paramedic are allowed to watch often understimated work of a colleague from the dispatch center thanks to this format of competition. They often have to tie up to his work in the next task. The view of the situation becomes really complex and the cooperation must be perfect. Besides that the competition gives a chance to the organizers for some mischievousness. Every year we try to give paramedics chance to experience dispatcher’s work and vice versa – dispatcher “touches“ a real patient and shows his skills. According to reactions of competitors and the feeling of organizers, this new format seems to be perfect. There is only one and constant problem – how to fulfil the competition with new, attractive, unexpected and hard tasks. We strongly believe that this year will be full of tasks that instruct and amuse to the same degree.